Super Savings Item! 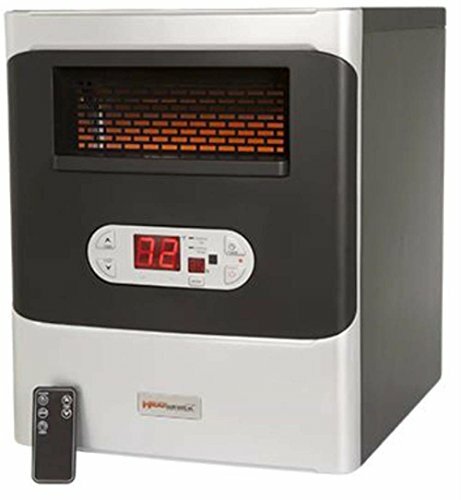 Save 35% on the HeatWorx Portable Infrared Space Heater with air MAX Efficient Flow Technology by HeatWorx HWA 14 at Two Clock. SKU: OXM-PREMIER. MPN: HWA14860298000102. Hurry! Limited time offer. Offer valid only while supplies last. HeatWorXTM! When you purchase a HeatWorXTM heater you'll be pleased with the top performance features exclusively built into our flagship model. HeatWorXTM! When you purchase a HeatWorXTM heater you'll be pleased with the top performance features exclusively built into our flagship model. HeatWorXTM is the latest in heating technology and provides top performance and reliability. There are NO BULBS to hassle with or that will need replaced. Our HeatWorXTM has a LIFETIME WARRANTY on the ceramic based heating element. Engineered and designed by an engineering team with numerous years of craftsmanship and creativity under their belts ensures a safe product that heats your chosen zone, up to 1,000 sq. ft.! Our exclusive increased airflow makes the HeatWorXTM much more efficient and will heat your area faster while saving you money. Up to a 25% performance increase over competitive models! Our timer allows you to heat an area when you want and the thermostat maintains your temperature consistently. You only need to enjoy the warmth! HeatWorXTM introduces the airMAX Efficient Flow TechnologyTM and we have found that it far surpasses others by producing more heat faster! HeatWorXTM is loaded with modern features and we know you're ready to move to the safest, best performing and most reliable heater on the market! Sold be a recognized service center We Service what we SELL! If you have any questions about this product by HeatWorx HWA 14, contact us by completing and submitting the form below. If you are looking for a specif part number, please include it with your message.